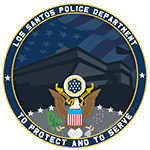 The Los Santos Police Department is proud to present to you, a sovereign citizen, this announcement to clarify the concerns of the citizens when it comes to the relations between officers and the community, civil rights, and clarifications of any gray areas that may rise up when peace officers deal with people. Through a thorough review of our procedures, input from government agencies, and input from experienced police officers of the LSPD, we have created this press release to tell you how you can make sure to exercise your rights safely and cooperate with peace officers to provide you with the best and most swift experience whenever in doubt. You have the right to remain silent, anything you say can and will be used against you. You have the right to a Government-appointed attorney present during legal questioning. So what does this actually mean? Firstly, you have the right to remain silent. This means that you do not have to talk to the police or answer any questions asked in order to not further incriminate yourself. If you say anything that can be used to incriminate you, it will be held against you. Secondly, you will get a government-appointed attorney if you request one but ONLY during legal questioning (such as in an interview pertaining to the crime in an interrogation setting). This is not required when an officer is questioning you, for example, in their squad car or on-scene. Lawful orders are usually requests made by police officers in order to fulfill their duty in keeping the peace and/or enforcing the law. This, of course, is a very broad definition, but it is exactly that. Lawful orders are often a gray area, but it is rare for an officer to demand something of you without a reason, which is an unlawful order. The rule of thumb is, you should do whatever an officer requests of you, but you should also recognize when an order is unlawful. Let's give a few examples in order to make this definition easier to understand. An officer orders you out of your car during a traffic stop. That is a lawful order if the officer feels unsafe with your presence in the vehicle, needs to perform a sobriety test, and/or needs to make an arrest. An officer asks you to jump up and down and make monkey noises. This is NOT a lawful order as it does not help extend the officer's ability to keep the peace or enforce the law. An officer asks you to vacate the area due to you causing a disturbance or interfering with an officer performing his/her duties. This is a lawful order as it allows the officer to keep the peace and perform their duty to enforce the law. An officer asks you to take off your mask and identify yourself with a form of ID. This is a lawful order as the officer might have reasonable suspicion that you have committed a crime, you are committing a crime, you will commit a crime, you are preventing an officer from fulfilling their investigative duties, and/or you are making the officer or the public feel unsafe. You are shopping for milk at Hamad's Convenience Store and you notice two men in hoodies, wearing masks, come up and start robbing the store. Many emotions are acting on you: a rush of adrenaline, fear, fight or flight response. Then, you see red and blue lights and two police cars come up. The robbers surrender and then the officers command you to put your hands up and get down on the ground... What do you do if you're a witness caught in the middle of a crime scene? • Hide in a safe place away from the suspects or, if you are able to, vacate the area immediately and get away from immediate danger. • Call 911 if you're at a safe distance from the suspects and they won't notice that you are using your phone. • Do NOT try to fight the suspects unless your life is in danger and you're acting in self-defense. • Follow all commands given by the Law Enforcement Officers once they arrive on-scene. If you do not follow the procedures, you may put your own safety and freedom in jeopardy. • You might be detained while you are a part of a crime scene. This is a standard procedure that police use in order to investigate without people getting away. • You may be treated with suspicion from police officers. It is important that you are honest with peace officers and do not try to resist a detainment as it may lead to an arrest with criminal prosecution. • Remain calm and collected, even if your freedom is being restrained during a detainment. • If you are charged with a crime, an officer does NOT have an obligation to disclose the evidence that incriminated you. • Seeing a person(s) or vehicle(s) in an illegal area. • Seeing a crime committed, or a seeing a civilian that is on the wanted list. • Individual(s) having illegal weapons/vehicles. • An officer sees a truck on a highway, it is NOT probable cause to search it. • An officer sees a vehicle NEAR an illegal area, it is NOT probable cause. • An officer is told someone is doing something illegal by a civilian, this is NOT probable cause for search only questioning. • You see a civilian across the street from cocaine processor, is NOT probable cause. (They actually have to be in the building). You're driving down Interstate 1 going about 145 km/h. You just got your new car from the dealership and wanted to test its horsepower. A couple of minutes later you see red and blue, and you hear a siren coming closer. You pull over, but you do not want to get a ticket on top of the expensive car payments. What should you do in this situation to make your life and the life of the officer easier on you both? Sometimes, you might have been in a situation or might have noticed that an officer is waiting for more backup before proceeding with a traffic stop. When that happens, it is usually a felony stop. Felony stop happens when there is a felon in the vehicle, with outstanding warrants under their name. If that happens, make sure to follow all directions made by the officers, and do not make any unpredictable movements for your own safety. • Turn your engine off when you are pulled over. It increases the trust of the officer who pulled you over, and it also ensures your and the officer's safety. • Keep your hands on the wheel where they are visible to the police officer, and do NOT make any erratic or unpredictable movements with your hands with an officer present. • Follow all directions made by the traffic officer. When instructed to, calmly reach for the required documents such as your driver's license and provide them to the officer. • Remain professional, collected, and calm. Usually, a traffic ticket is given out to individuals with previous traffic offenses or to those who show that they will not learn their lesson to drive safer without a ticket. If you want to avoid a ticket, do not give an attitude to the officer and show him/her that you can learn your lesson on driving without receiving a ticket. Of course, this might not always work, but it makes your experience better during the traffic stop. Internal Affairs Division (IA) is a division within the Professional Standards Bureau of the Los Santos Police Department tasked with investigating cases of officer misconduct that tends to discredit the public image of the department and cause safety issues toward the public. IA takes its reports very seriously and there are often upward of 30+ reports made by citizens every day that the division has to review. This might often affect the speed of their performance, but this is due to a careful and thorough approach toward cases of misconduct. If an officer is convicted of misconduct and/or corruption they may face a range of disciplinary punishments ranging from warnings, citations, and suspensions, all the way to a dishonorable discharge and/or criminal trial. All reports are taken seriously and a team of multiple Police Supervisors and above work hard to fight all cases of officer misconduct.  If you would like to make a report, you may access the report desk HERE.